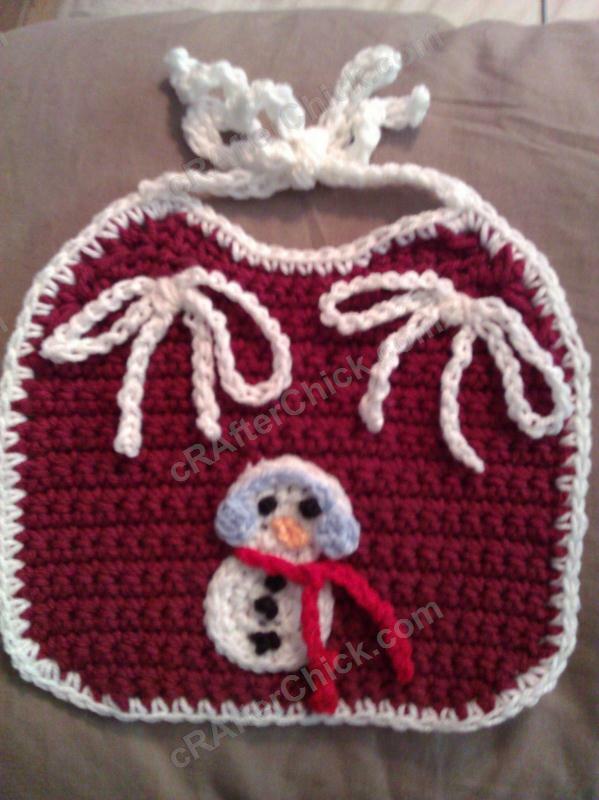 This free crochet pattern is for an easy baby bib that even advanced beginners can make! 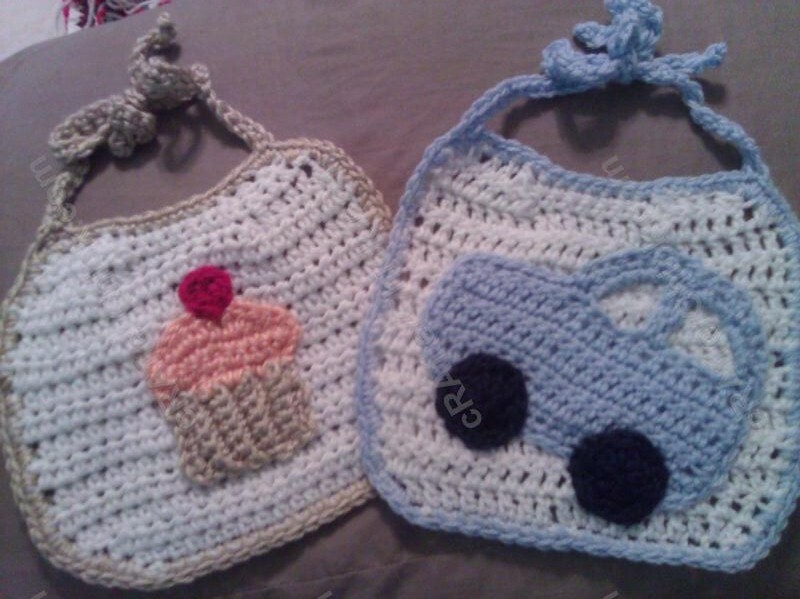 I was struggling to find out what to make for all the new little ones in my family for this past Christmas holiday when I stumbled across a cute cupcake bib made of fabric and thought it might turn out cute in crochet. You can never go wrong with cupcakes. 😉 I’m so glad I did. 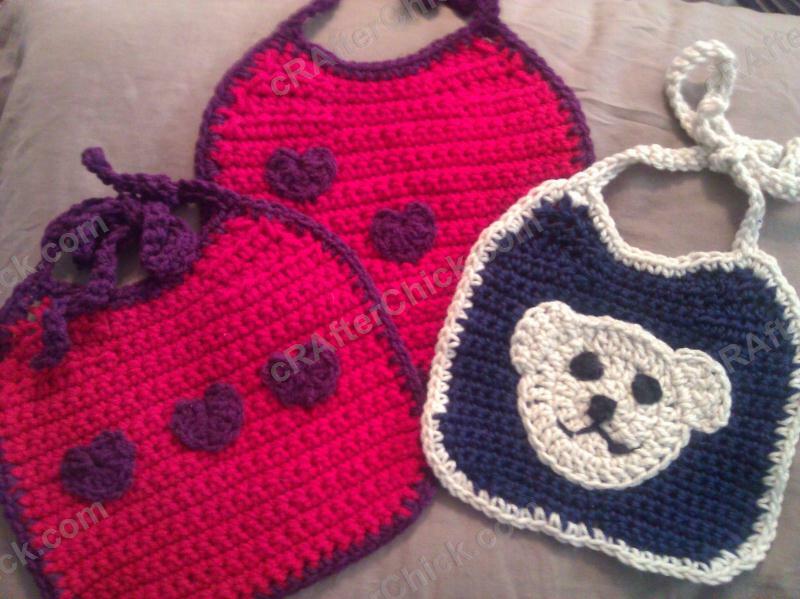 I ended up making sixteen bibs for gifts. Yes sixteen but they whipped up so fast I was surprised, so here is what I did to make them. There are links for applique patterns I used from other places for the cupcake, car and snowman at end of pattern if you want to try them too. Pull yarn through after cutting and fasten off. With your contrast yarn color for the trim, sl st on big right after a corner, sc in each stitch around, placing three sc in each corner. In st inside of each of the top corners sl st into st, chain 41 stitches, then starting at 2nd chain from the hook, sc in each back down to sl st into starting st on bib before continuing with the sc in each st around with 3 sc in each corner until all sides are trimmed. Sl st to beginning stitch and fasten off. Awesome! Easy to follow instructions and just adorable! Thanks for posting.